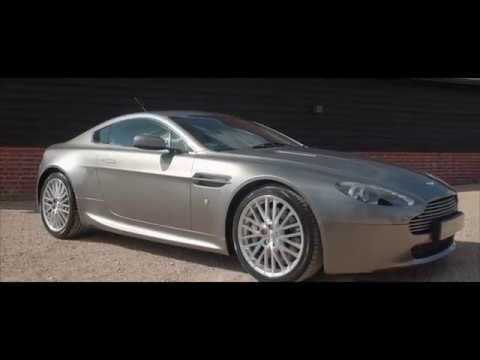 We are delighted to offer this cracking example of the V8 Vantage which benefits from a number of performance and styling upgrades. Originally supplied and registered in March 2006, this manual V8 Vantage is finished in Tungsten Silver with complimentary Caspian Blue hides. Additional optional extras when built include grey brake calipers, bright finish grille, HID headlamps, heated front screen, Aston Martin Premium Audio, SatNav and heated front seats. Purchased by its previous, enthusiast, owner in July 2006, the car has been much cherished and well maintained since and has latterly been upgraded with a Prodrive Performance engine upgrade to 420bhp, N420 sills and later type cross spoke wheels and not insignificant cost! A complete MOT record supplied with the car confirms the low mileage of just 24,300 and the car now benefits from comprehensive pre-sale preparation and service by our own workshops and will be supplied with 12 months warranty. Not just another V8 Vantage but an excellent, 2 owner, low mileage, cared for example which benefits from additional power and subtle cosmetic enhancements. Available for viewing and demonstration now.